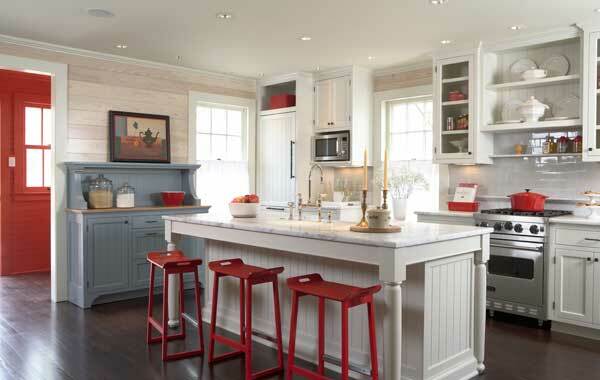 Board walls and freestanding kitchen furniture are historical details in the old house. Carrara marble counters and tile backsplash are practical and timeless. The only inhabited island on the Mississippi River, and rich in Minnesota history, Nicollet Island is just off downtown Minneapolis. Its north end boasts 22 historic 19th-century homes. This house built ca. 1900 was a holdover of the earlier 19th-century gable-front house with a side wing. Corner pilasters, a wide frieze, and six-over-six windows, all so characteristic of American Greek Revival style, are original. The homeowner, in fact, calls this his “Nantucket cottage” for its similarity to the prevailing house type on that other island off Massachusetts. The cottage was saved from demolition during the 1980s, when it was moved from its original location near the University of Minnesota. Before that it had been a rental property for many years. The kitchen, poorly remodeled in the 1950s, connected to the den via a walk-through bathroom. With the kitchen and bath both in dire need of updating, the Minneapolis firm TreHus was brought in to design and build the improvements. The owner asked that new work be in keeping with the style and details of the old house. He also asked for an addition to make the kitchen more usable and open, which would need approval by the Minneapolis Historic Preservation Commission and the Minneapolis Park Board. And he wanted state-of-the-art mechanical and electrical systems as part of the whole-house renovation. The TreHus design team added 10&apos; at the rear of the house and relocated the powder room, which created an effortless connection among all of the main-floor living spaces. The locations of the original living room, dining room, and den have been maintained, and those rooms restored to original condition. Original windows were refurbished; the siding was stripped of paint, repaired, and painted to match the original color. 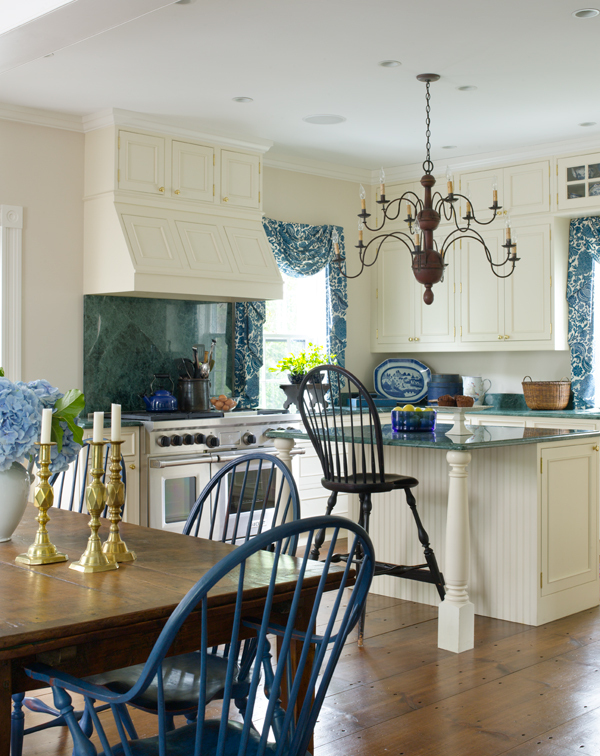 The kitchen addition has new double-hung windows; single-glazed, they match the size, muntin width, and light (multi-pane) patterns of the originals. New casing was milled to the exact measurements of the original trim in the rest of the house. Archival photos dating to the early 1900s helped in the design of elements congruent with the original house. 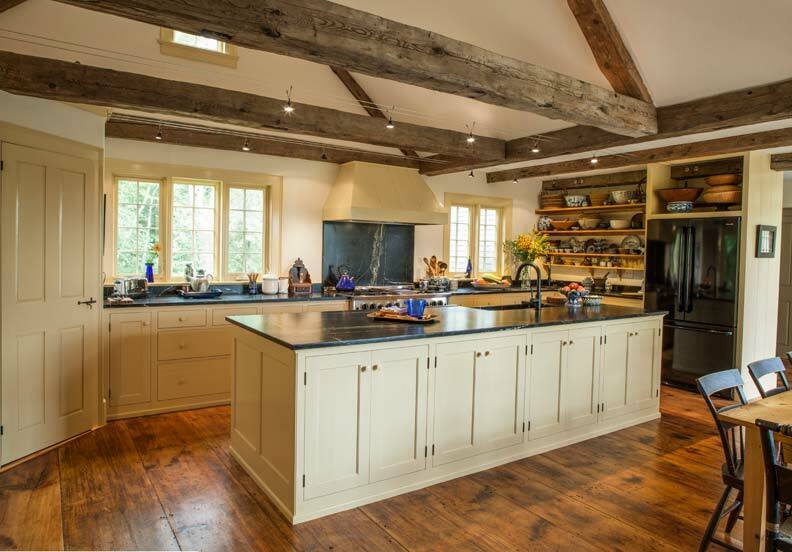 For instance, the designers used a photo of the rear of the house to reconstruct what used to be a summer kitchen and is, in today’s incarnation, the mudroom. A handsome picket fence visible in an old image of the house and the road became the model for the new one. Upstairs, remodeling created a master suite with a walk-in closet. The original floors are in place, painted in a deep color. Here the master bath is fitted with a freestanding tub and a marble-topped freestanding vanity cabinet with two sink basins. Vintage lighting tops the mirror in a wood frame. The wainscot is made of walnut. 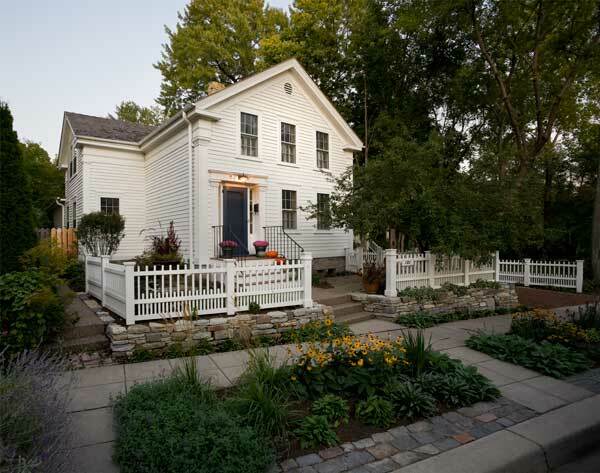 The house restoration project won a Chrysalis award, a Master Design Bronze award, a COTY award, and the 2009 Janus award. It fits in beautifully on the island.